We received word from a tipster today that two mature trees are about to be cut down in Phoenix Hill on the corner of Shelby and Liberty streets. The city is installing a new sidewalk in that location, and, of course, the trees are in the way. 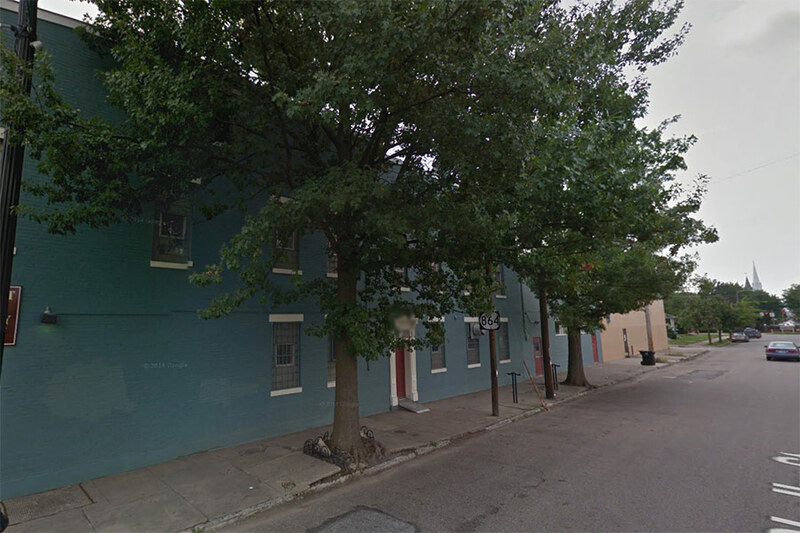 A similar thing happened recently on Oak Street in Old Louisville where two entire blocks of trees were cut down to make way for a new streetscape. I walked this stretch of Shelby Street last month and the sidewalk there had some bumps (see photo below), but a new sidewalk here might not be the best investment to improve an area that’s strewn with acres of vacant lots. 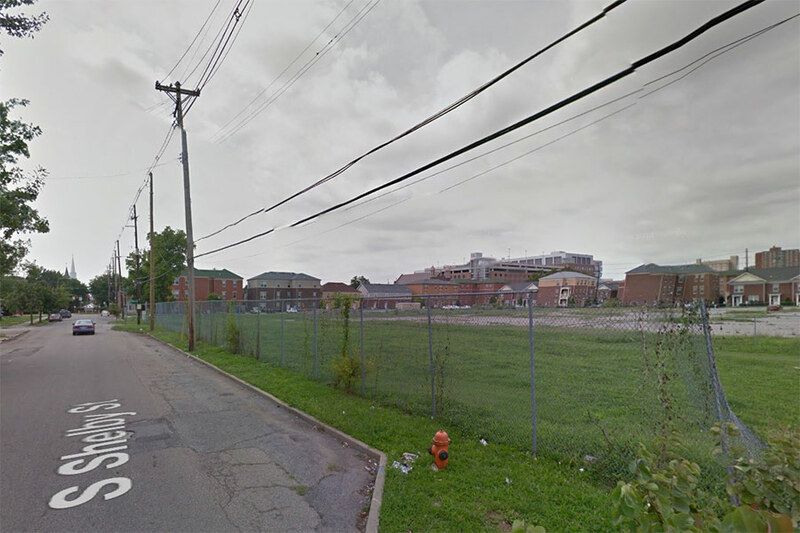 Across the street, for example, there are no sidewalks at all at the eastern edge of Liberty Green. While we’re in favor of sidewalks, clearly, Louisville can’t afford heavy-handed approaches like this, especially when the city suffers so acutely from urban tree canopy issues and the urban heat island effect. As Next City reported in 2013, Louisville is in fact the worst city in the nation for these tree-related issues. The trees here are likely doomed, but if you’d like the city to know that you favor trees in Louisville, you can email Metro Forester Erin Thompson.